October Scentsy Host Exclusive is a Snowman Cookie Jar to Match the Snowman Warmer! 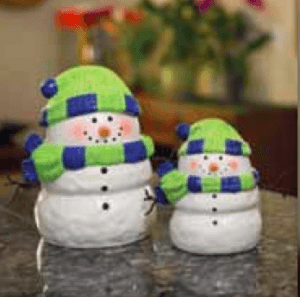 This month Scentsy has released the adorable Snowman Cookie Jar to match the adorable Scentsy Snowman warmer! Before you pop your first batch of Christmas cookies into the oven, host a Scentsy party and take home the exclusive Snowman Cookie Jar. Designed to match the new Snowman Warmer, this frosty friend will hold all your holiday goodies. Available in October. The Snowman Cookie Jar can be purchased for $50 using Host Rewards or just $25 using Half-Price Host Rewards. This offer is available only to Hosts who throw a qualifying party of $150 or more, and only while supplies last — so hurry! At Scentsy we really love our host! When you host a Scentsy party you get GREAT Scentsy Host Rewards! Each month Scentsy offers a Host Exclusive for that month. These limited edition Scentsy products are only available to our Host for one month. They are our gift, a way to say thank you for hosting! Want to learn more about what you get when you host a Scentsy party? Check out our Scentsy Host Rewards!